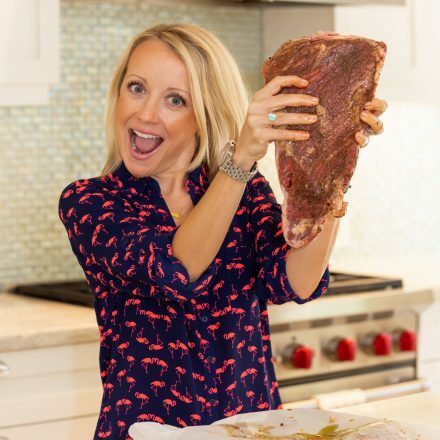 The Genesis is the Grill that ignited my passion for Grilling! I have a confession to make. 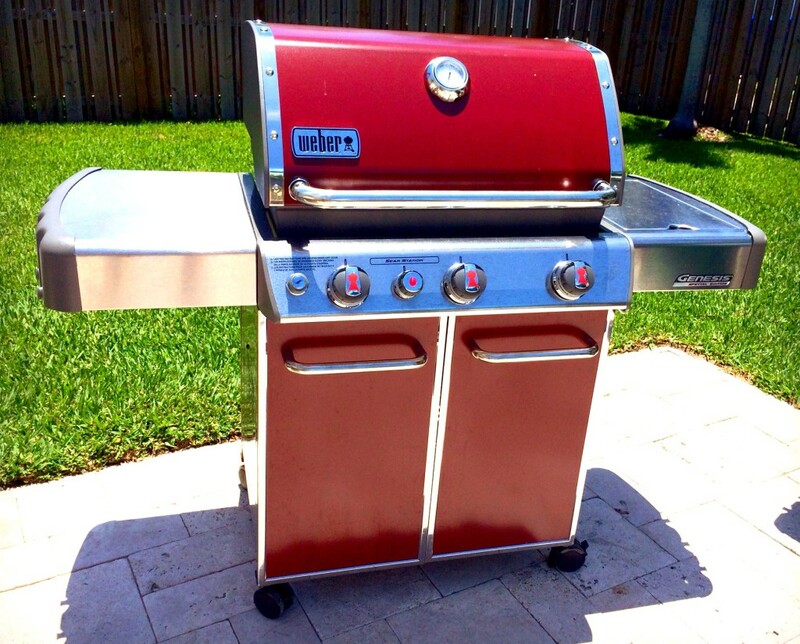 I’m cheating on my first Weber Genesis with a brand new, Crimson Red, Weber Genesis. As many of you may know, the Weber Genesis is what I call my “gateway grill” –ie, that was my introductory drug into grilling. From there I went on to get a Weber Performer, a BGE, a Weber Smoky Mountain… you get the picture! When people ask me what grill they should buy, my first question is- are you looking for Gas or Charcoal? If they say Gas, I recommend the Weber Genesis (and if for charcoal- the Performer is my recommendation). What I love about this grill (and all Webers) is that they are built to last, and you can replace the parts over time. They are a long term investment versus the cheaper, crappy $199 grills you can buy at Home Depot that are made in China. I refer to these types as “throwaway grills” because you will have to throw them away after 2 years of use. 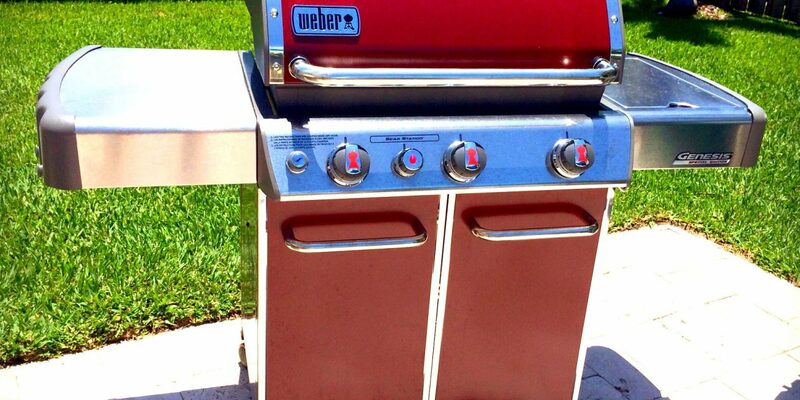 The bottom line is that a Weber is a quality grill that will go the distance with you for years to come. The new Genesis in Crimson Red, and my first Weber Genesis purchased back in 2008. Still a beauty! 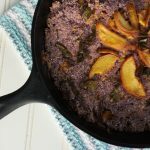 My first Genesis has produced a ton of great meals! My new Weber Genesis has some features I’m really loving over my 5 year old Weber Genesis. Back in 2011 Weber changed the burner configuration on the Genesis. My Genesis 1.0 (which I got back in 2008) had the burners in a horizontal configuration, ie, left to right. This meant when you did direct/vs indirect cooking your zones would be front/back. The new Genesis has burners are in a vertical configuration- this means when doing direct/indirect you can create a left/right zone for which, in my opinion, makes more sense. The Genesis comes in 2 options- the 310 and the 330. 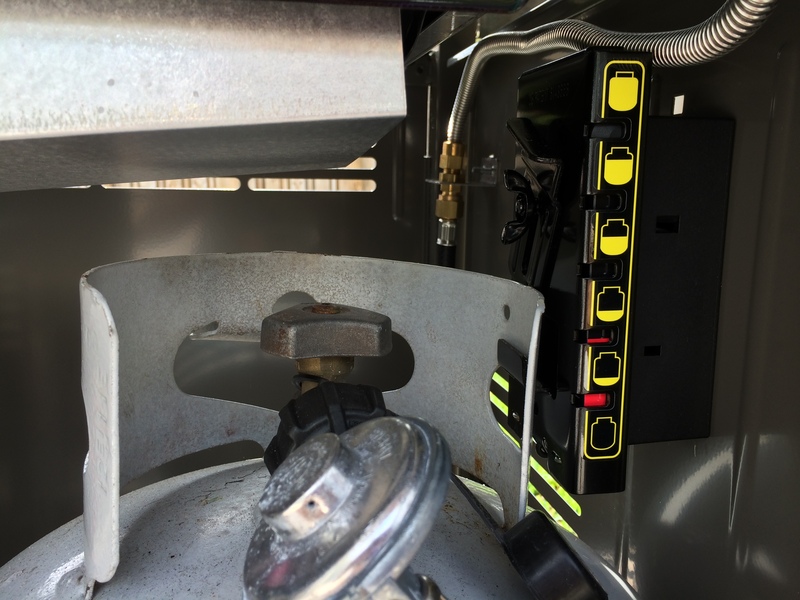 The 330 offers what is called the “Sear Station” while the 310 keeps the standard 3 knob burner configuration. The “Sear Station” helps this zone of the grill to achieve temps of 800-900 degrees to get those awesome, restaurant quality char marks. 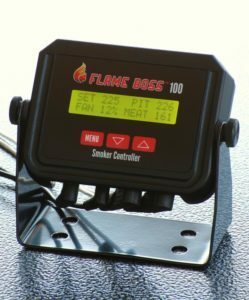 The “Sear Station” is a dedicated area with an extra burner that, when turned on high in combination with the other burners will reach temps of 800-900 degrees and produces restaurant quality sear marks. The knobs on this Weber are in a smarter location- on the front, which gives more room on the side table as a work space. The 1.0 version had the knobs on the side table which took workable space away. (As an FYI, Weber changed this burner configuration back in 2011 which was a smart move). This grill offers serious BTUs! The Genesis has 2 grate options depending on which version you buy: The E-330 Model (colors available for this one include Black, Copper and Green) comes with porcelain enameled grates. 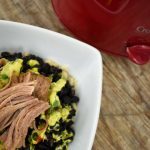 The EP 330 Model (available in black, cooper, green and the new Crimson Red and Smoke colors) comes with stainless steel cooking grates. I love that the Genesis offers a fuel gauge- this way you will never be left without gas during a cook! 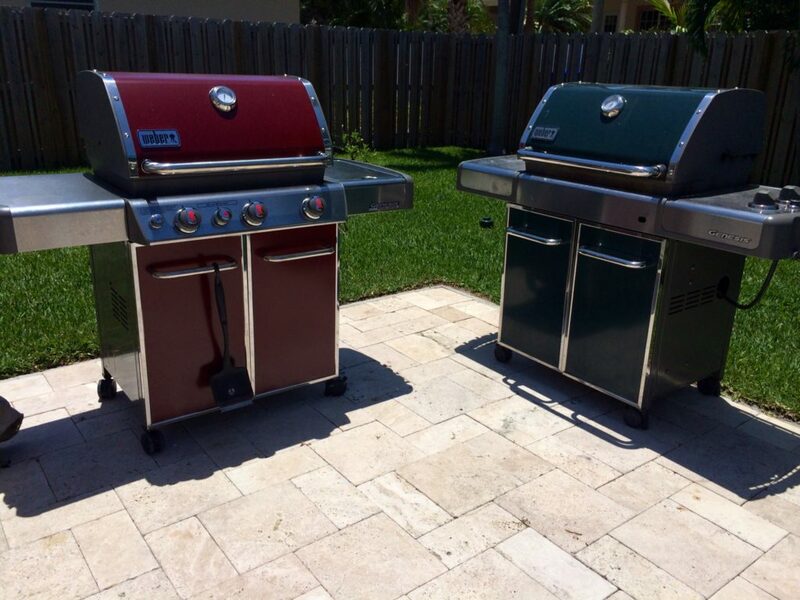 The color- as you can see from my choices- my first Weber came in a beautiful hunter green that I bought at a specialty retailer, not just off the shelf at Home Depot. This new EP 330 is Crimson Red, is an option that is available only at a specialty retailer. Their other special color for this season is the “smoke” color. I like supporting my local guys when I can versus going to Home Depot. 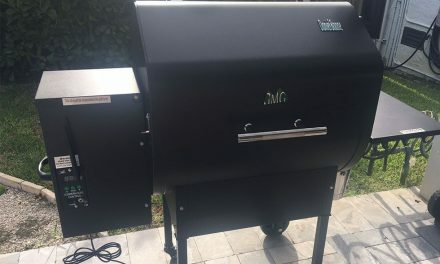 The price point for the Genesis EP 330 is $999, while this is not inexpensive, but if you are looking for a grill that will go the distance with you and offer years of grilling enjoyment, this is the one! You can easily cook for 4+ people on this grill without having to grill in batches as this grill offers plenty of BTUS and grill space. 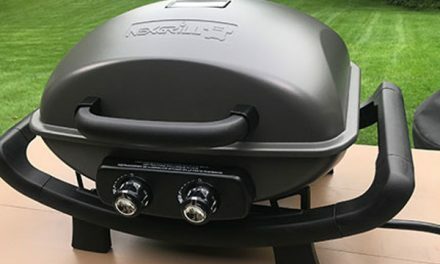 If you are looking to get your first ever gas grill and have a smaller budget, the Weber Spirit is an excellent choice at $499. I couldn’t agree with you more! I bought the Genesis 2013 EP-330 in Crimson Red in May of 2014. I have previously owned several Chinese “throw aways” that heated inconsistantly and rusted out in no time as if by design. My Genesis cooks evenly and the front slide out grease tray makes cleaning this grill a breeze! My wife and I grill on it at least 3 days a week without a hickup. 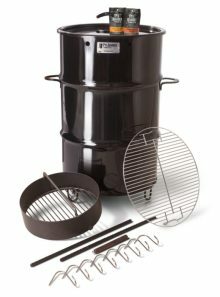 Weber currently provides a warranty of 25 years on the lid and tub, 10 years on the SS burners, and 2-5 years on everything else. Couple that with plenty of E-retail sites offering affordable parts and you can readily see that you have made a sound, long term investment. Couldn’t agree more Matt! 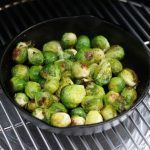 Mine has a side burner and I’ve been so grateful for that, along with my grill, since we have been doing a house renovation and currently have no kitchen. Luckily i’ve been able to stage an outdoor cooking area and since I grill everything anyway we are getting by. 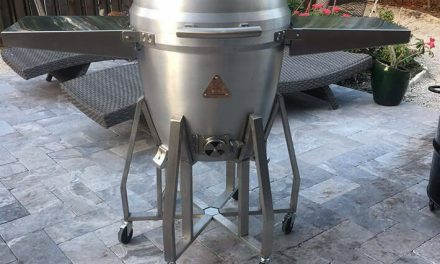 I’ve been using the side burner to make eggs in the mornings… This is my 3rd (full size) Weber, they are a great investment. Robyn, you mention that you make breakfast on your grill’s side burner. As an accessory you should consider the LittleGriddle stainless steel griddle. I bought the full size GQ230 from Amazon.com. It fits the Genesis 300 series perfectly! I use it for cheese steaks, pancakes and eggs, and burgers to die for. They also offer a half size model that keeps one side of your grill free for grilling (of course). 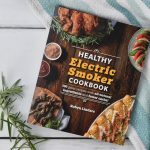 Matt, I will definitely have to check this out, thanks so much for the recommendation! Hi Martin, the only time I’ve seen the other colors is when you get them at a Weber Dealer…or perhaps they stopped making it in the brick red color… I’ll check out your site! 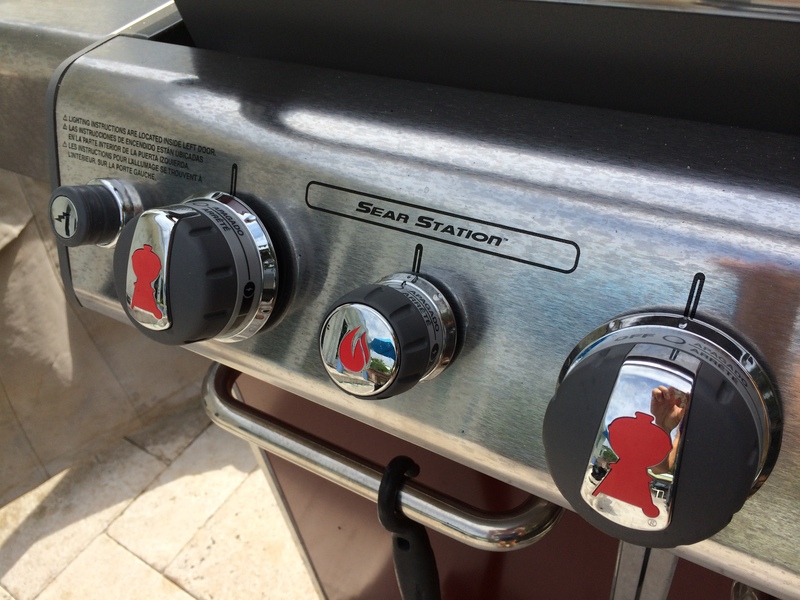 Great info on these grills. 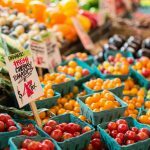 How well does “sear station” work? I like the concept and want to make sure its worth the extra money. Hi Dean, I like the sear station. I think it’s worth the difference in cost. Especially if you want to cook steaks. sounds like you will have to search craigslist!! THIS IS THE BEST GRILL ON THE MARKET. EXPENSIVE, BUT GREAT! DON’T WASTE YOUR MONEY ON THE RUST OUT, CHEAP LOOK-A-LIKES THAT MAY LAST YOU 2 YEARS……IF YOU ARE LUCKY. AMERICAN MADE, HEAVY-DUTY, COLOR WILL NOT FADE. THIS WAS MY CHRISTMAS PRESENT TO MYSELF 2 CHRISTMASES AGO. BEST INVESTMENT I HAVE MADE IN A LONG TIME. FLORIDA WEATHER WILL NOT RUST OR FADE IT. A LITTLE HINT: DO NOT BUY OR USE A COVER IN THIS CLIMATE…… IT PROMOTES RUST, ESPECIALLY ON CHEAPER GRILLS. MANGIA, GRILLING KINGS! 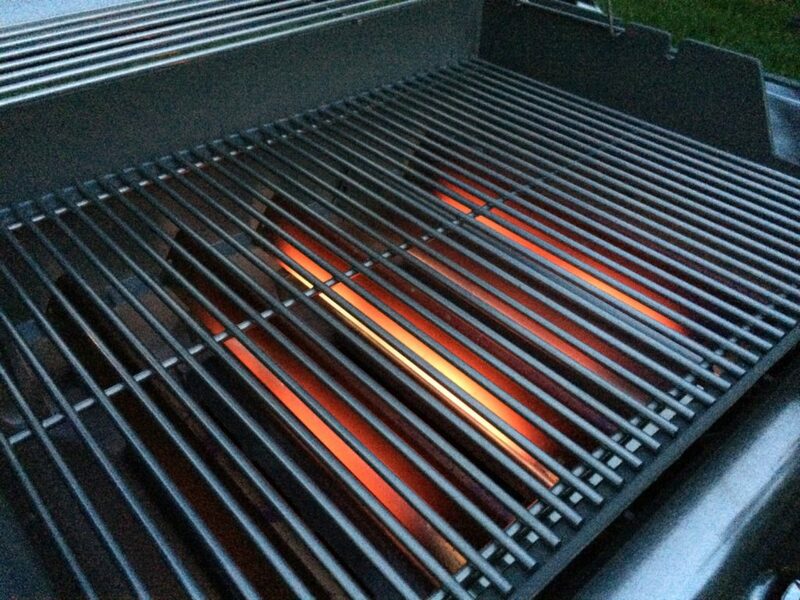 Hi Keith, I agree this is a great grill, I’ve been cooking on it for over 5 years now and it’s still going strong!